The perfect complementary option to our removal service comes in the form of mobile storage with Platinum Removals & Storage’ removals services. We can bring storage modules to you to help you get your move more organized! Storage services with Platinum Removals & Storage can be the perfect complement to the removals job with us! 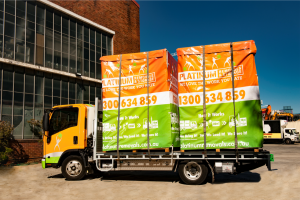 Platinum Removals & Storage has always been a top provider of removalist services in Sydney. Now we present to your our storage space for rent so that you can make use of our capabilities as a trusted and reliable service provider to extend to your other needs when you are considering moving homes! Our storage services are able to provide you with a simple and easy solution to handling and managing all of your items when you’re dealing with a move so that moving your family or business from one place to another will flow smoothly throughout the period of removals. When it comes to moving homes, on top of having to get everything organized and put aside for the removalists to help you load up for transportation, you may have to deal with a growing pile of items in the way as you pack. Platinum Removals & Storage has always offered a packing service to help our customers with getting their things better organized and managed but now with our storage services, you can also have these items moved to an external location under our care so that you won’t have to fight through the clutter and mess in all the days that are leading up to your move. Using our storage facilities will enable you to have a clearer idea of what to do with your home once you move in as well. Especially if you are moving with elderly folk, or young children, or even family pets, dealing with the human quotient can be stressful enough without having to direct all of the items that come on the removalists’ trucks. Being able to direct items from storage into your new home as and when you are more relaxed and comfortable with the time on your hands can make a very big difference to your blood pressure and stress levels, and all at an amazingly low cost of storage. We want to help you manage your move in the best way possible so integrating our stellar and well-commended moving services with storage options, you can be certain that you’ll be able to get all that you need to take care of your move from start to finish in one place, just by dealing with one company! By using our storage services to act as an interim holding area for your items, you can easily coordinate all of your logistics and schedules when it comes to moving homes. Things can’t get any simpler than this! Making use of our portable self storage in this manner will give you an ability to manage your move like never before. And not to worry that if you need a little bit more help, you can always give your Move Coordinator a call so that you can get the details of your storage removal on schedule with the rest of your move! Don’t forget, your Move Coordinator is there to help you get everything on track on moving day and then some, so don’t hesitate to rope us in so that everything happens as you need it! Finding the right company to help you through this potentially stressful period is paramount and Platinum Removals & Storage wants to be the company that is able to provide you with the right solutions to get the job right! 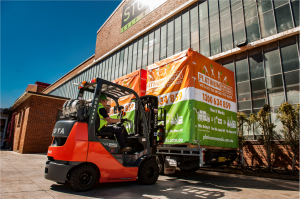 Give us a call and talk to us about how we can help you to incorporate our self storage services to make your move that much easier and let us take care of everything to do with your home removals! 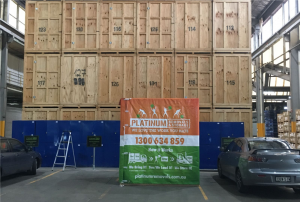 You can count on Platinum Removals & Storage for a perfect storage service!